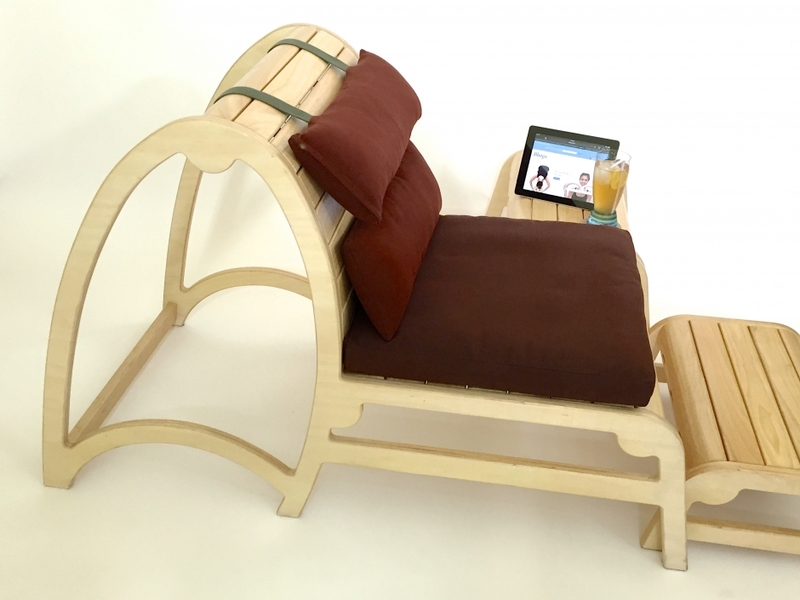 The Premium Bhoga chair set — Cutting edge, comfortable ergonomic design is the perfect ‘go-to’ chair for healthy relaxed sitting, reading, iPad, watching movies or tv AND a muti-functional fitness behemoth! 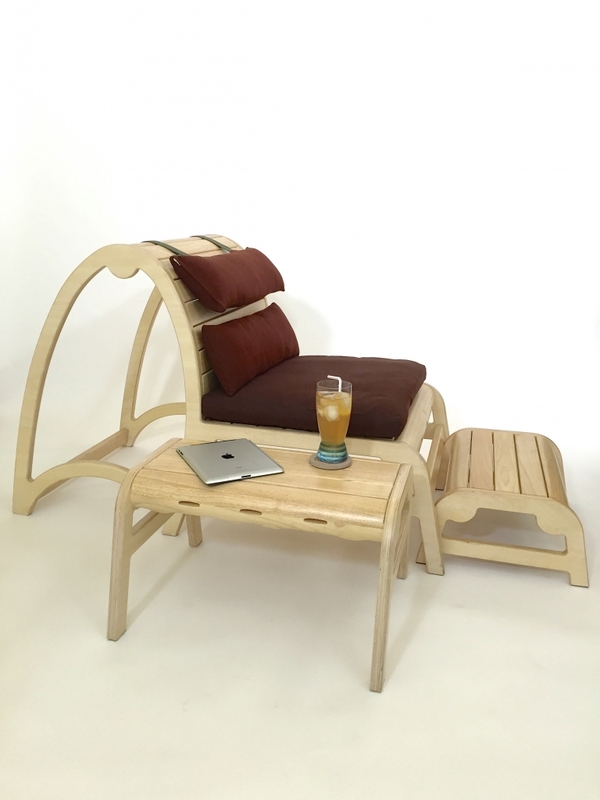 Whether you want to sit effortlessly up in optimum posture or meditate, the uber ergonomic shape of the Bhoga Infinity Chair set is comfortable while decreasing stress and increasing vitality. 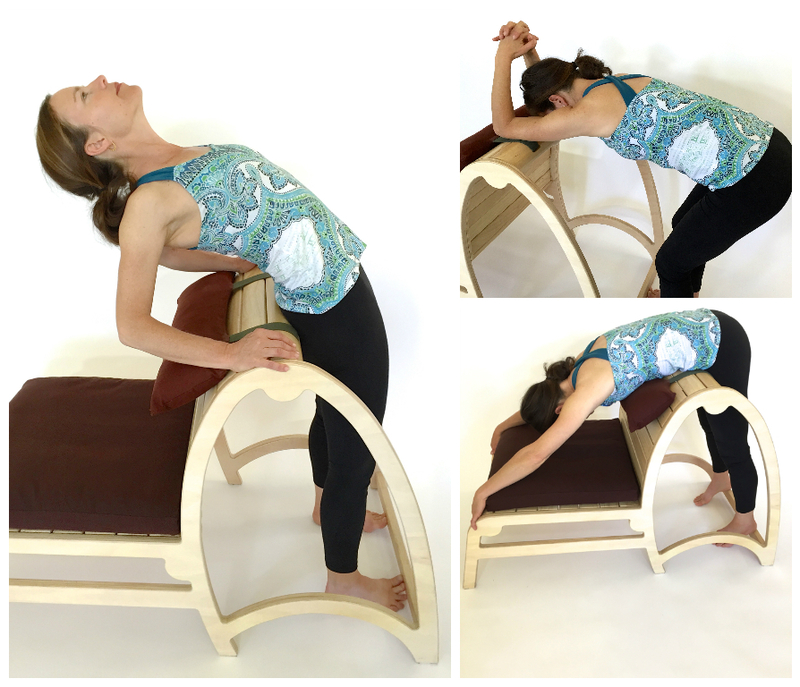 When you are ready to stretch, the open arch filled design of the chair provides support where you need it and how you want it. 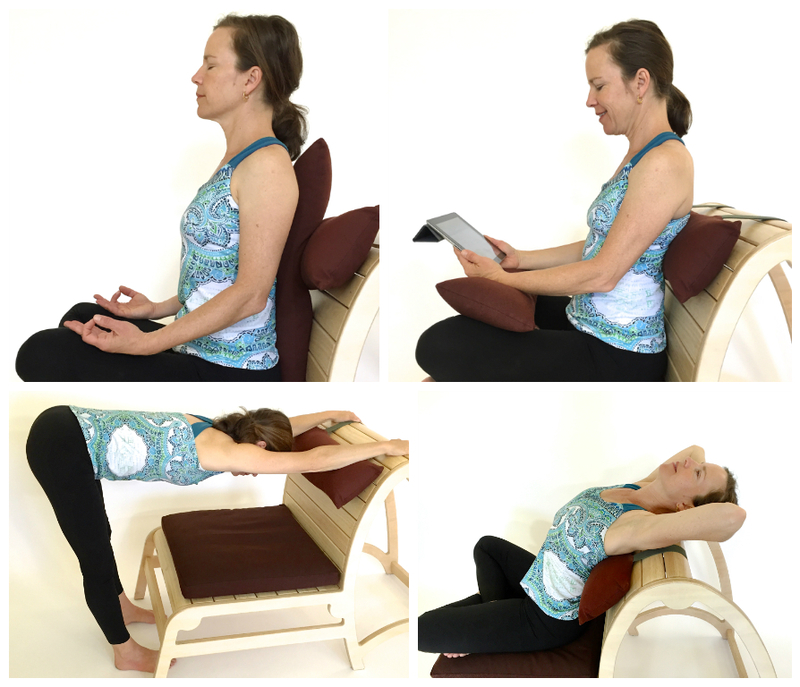 Even after using regularly for years, you will discover new and enjoyable ways to realign and balance. Cotton webbed belts or resistance bands can be looped thru the notches for added versatility. 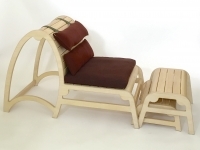 Comes with three natural fiber cushions that are cotton outside and kapok cushioning inside. 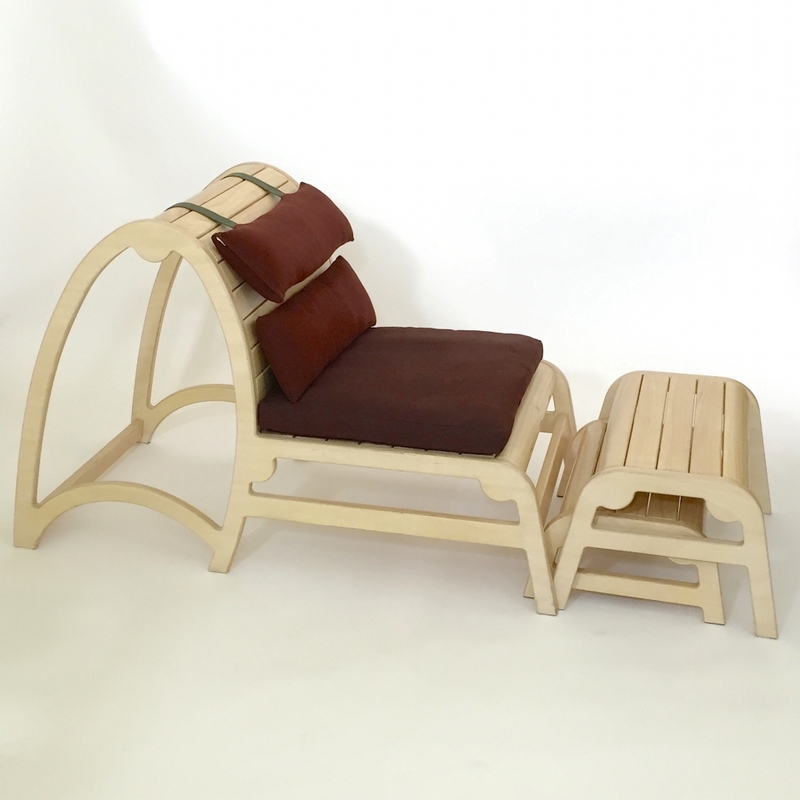 Cushions provide the right amount of comfort while the ‘big’ arch chair design naturally guides and supports the body in optimum posture; decompressing the hips, spine and back. 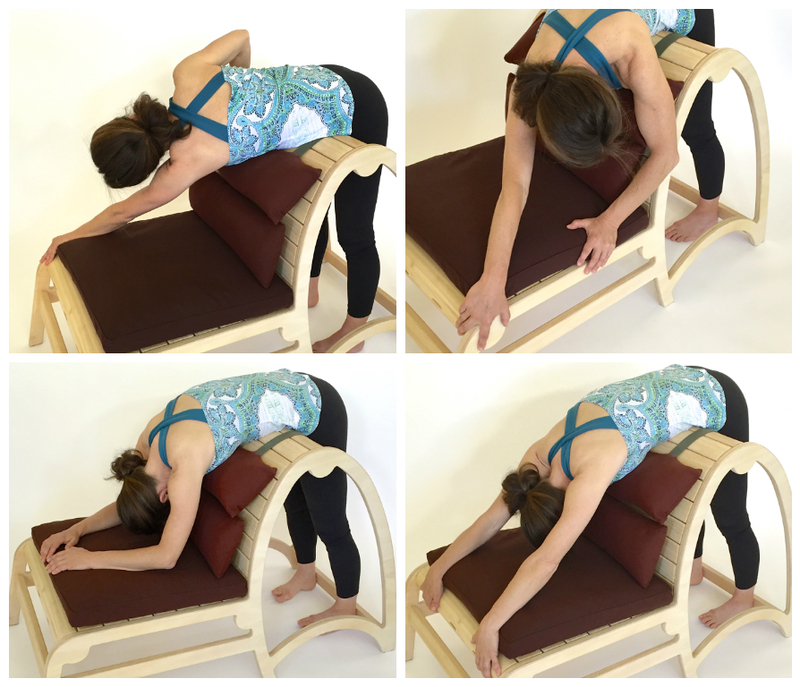 Every inch and centimeter of the chair and benches are designed for exploration; supporting the body while expanding the inner space, feeling balance. Enjoy! 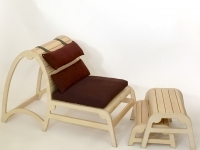 Includes Bhoga Infinity Chair,2 Bhoga Infinity Benches and 3 natural fiber cushions. 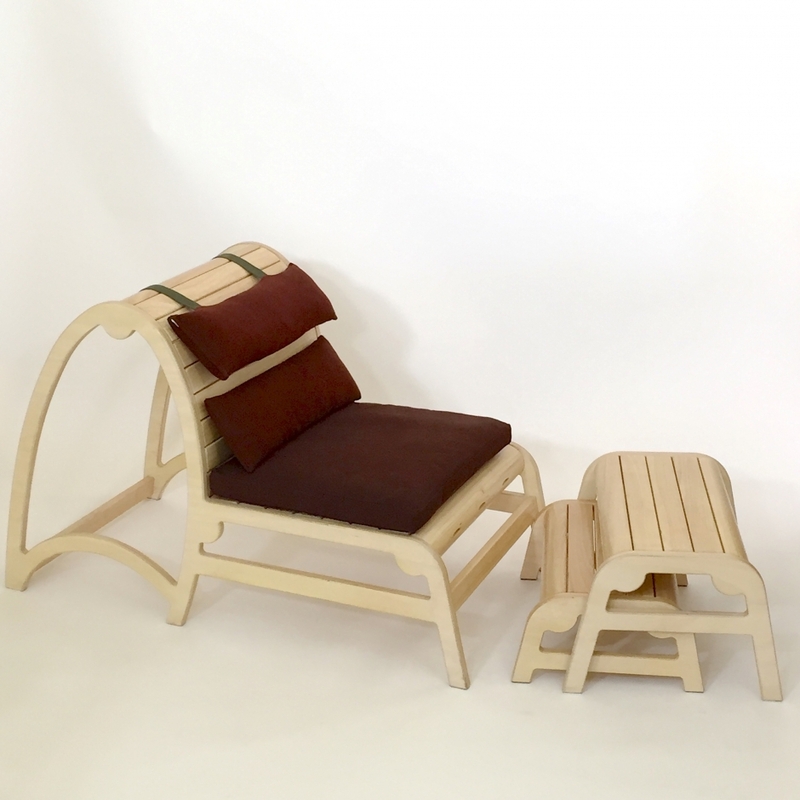 One adjustable upper back cushion, one seat cushion and one floating cushion to be used as desired. Made from renewable and sustainable sturdy, rubber tree hardwood. There are no screws or other hardware. Finely crafted with joinery. The Chair and Benches come fully assembled. Comes in two finishes, Natural (with rich chocolate brown cushions) and Honey (with carmel colored cushions). Shipping is only $159 in the continental US. Free shipping in SF area for a limited time.